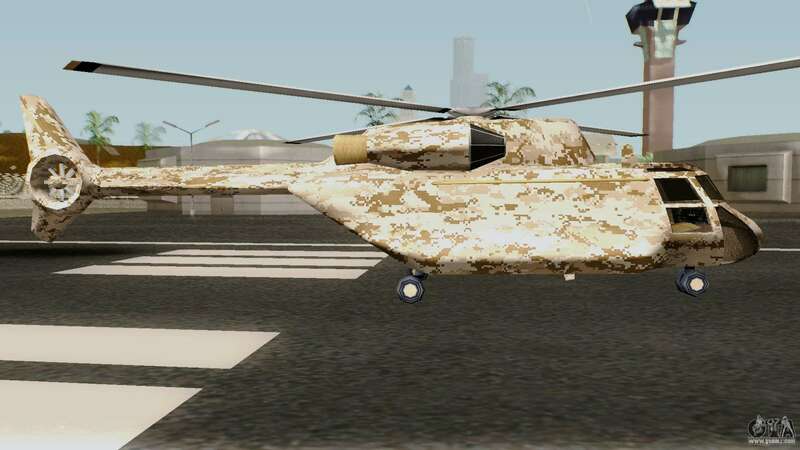 Modification Retexture skin selector for GTA San Andreas changes the color of the standard plane. - Matches perfectly with the game environment. Download and install the Retexture modification for San Andreas. 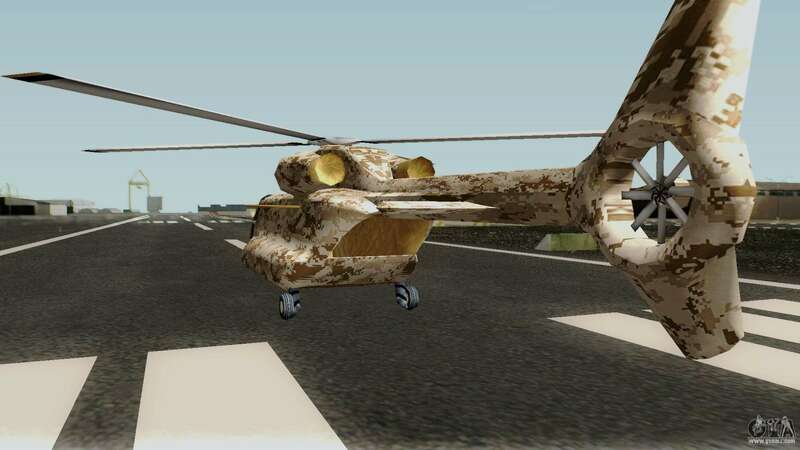 you can use our automatic installer. 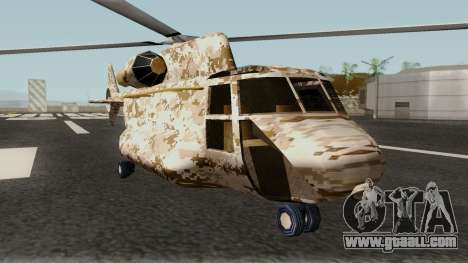 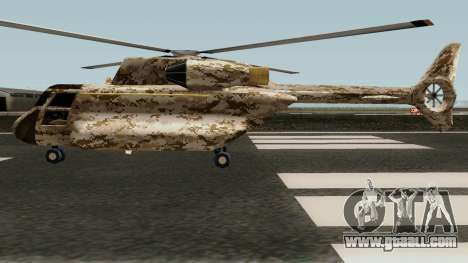 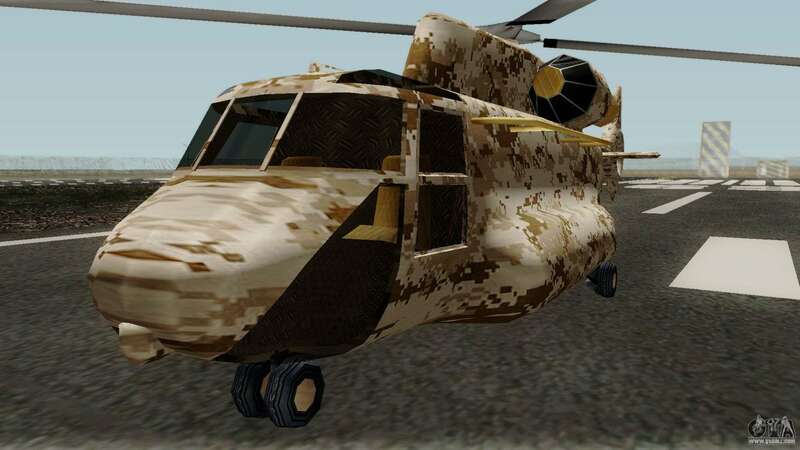 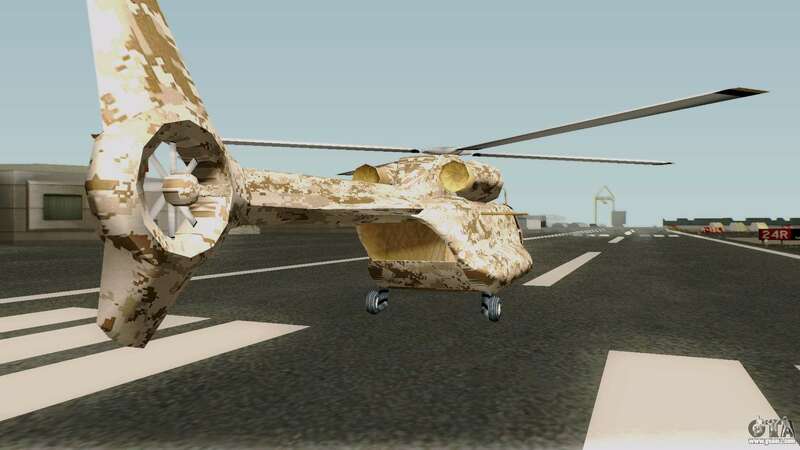 Mod replaces the standard model of the Cargobob helicopter.